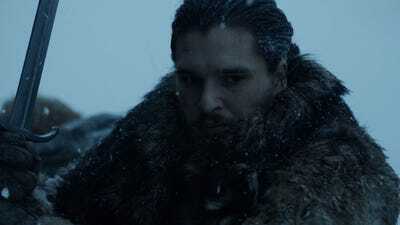 Helen Sloan/HBOJon Snow (Kit Harington) is back beyond the Wall. 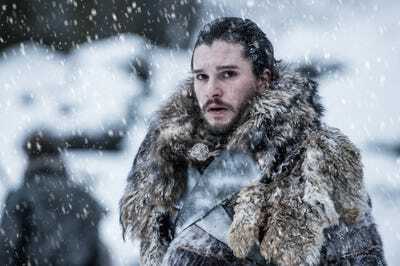 The sixth episode of “Game of Thrones” season seven already accidentally aired on two of HBO’s European channels, but non-spoiled fans are in for a treat. 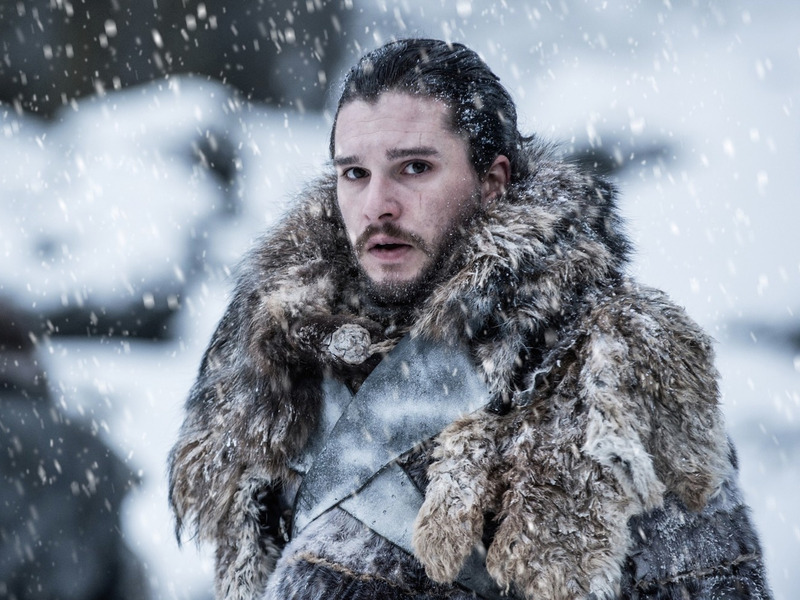 The coming episode is 70 minutes long, making it the longest “Game of Thrones” chapter so far in the series. That record will be broken with the 81-minute season seven finale airing August 27, but let’s not get ahead of ourselves. 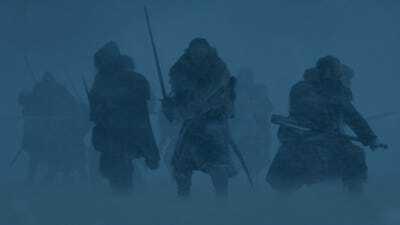 Jon is leading his dream team beyond the Wall to try and capture a wight. Read up on every badass member of this 'wight mission' crew here. Tormund Giantsbane looks glorious back in his home turf. 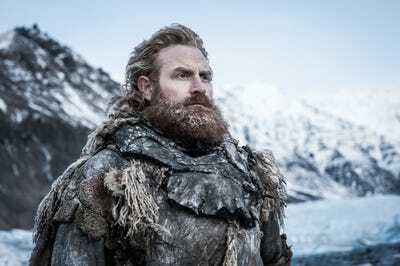 Kristofer Hivju stars as Tormund. Ser Jorah Mormont will be there too, fighting on behalf of his queen (or should we say khaleesi?). Iain Glenn as Jorah Mormont. 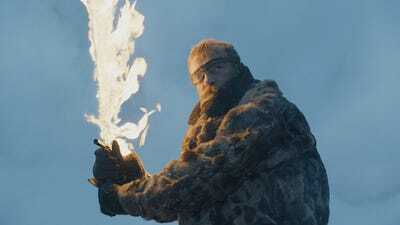 Then there's Beric Dondarrion with his flaming sword. 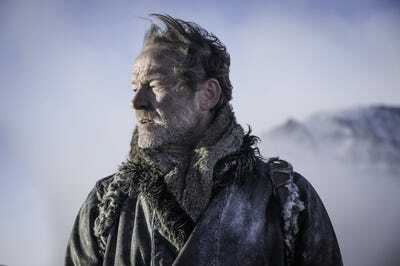 Richard Dormer as Beric Dondarrion. 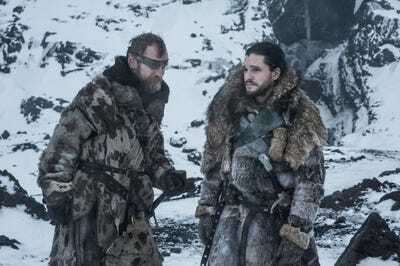 Seeing Jon and Beric together is great, seeing as they're the only two characters who have been raised from death by the Lord of Light. These two have a laundry list of stories to compare. But Jon looks worried, and for good reason. They just willingly stepped into the Night King's territory. Jon hasn't been past the Wall since Hardhome, when he last saw the Night King. The dream team circles up, awaiting an oncoming enemy. Those snow conditions do not look conducive to fighting. But Jon at least has Longclaw -- his Valyrian steel sword capable of killing White Walkers. You've got this, our King in the North. 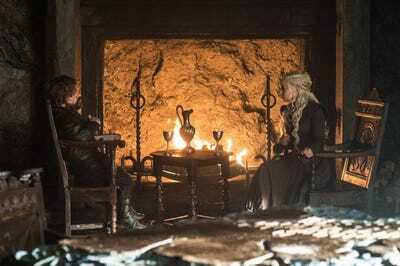 Meanwhile Daenerys and Tyrion are in Dragonstone talking by the fire. Daenerys was hesitant to let Jon leave her castle. 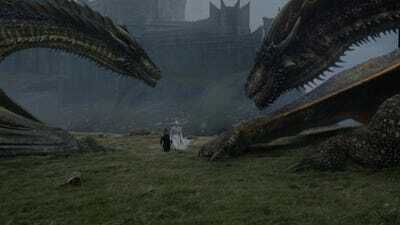 We also get a shot of her with two of her dragons, Rhaegal and possibly Viserion, though the one on the right might also be Drogon. Can you see her new white coat/gown? Winter is here, indeed. 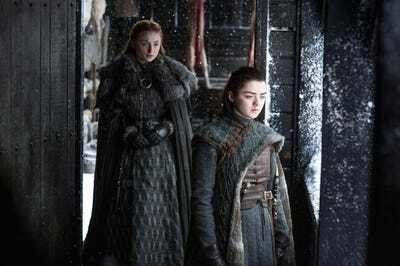 In Winterfell Sansa and Brienne are talking. Sophie Turner as Sansa and Gwendoline Christie as Brienne. 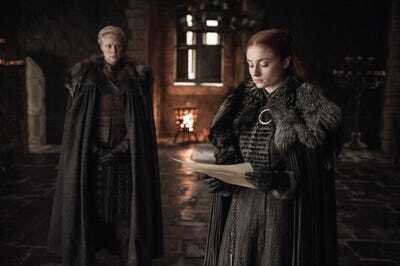 In the last episode, Arya found an old letter Sansa had written to her family that was very pro-Lannister. Does this spell trouble for the sisters? Read about the contents of that letter and how it might relate to Littlefinger's master plan here. 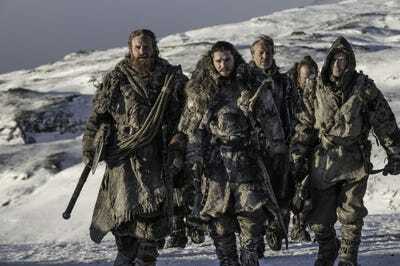 'Beyond the Wall' airs on Sunday at 9 p.m. on HBO. In the meantime, catch up with 9 details you might have missed on the latest episode. Sign up for our weekly 'Game of Thrones' newsletter series. Running for a limited time!